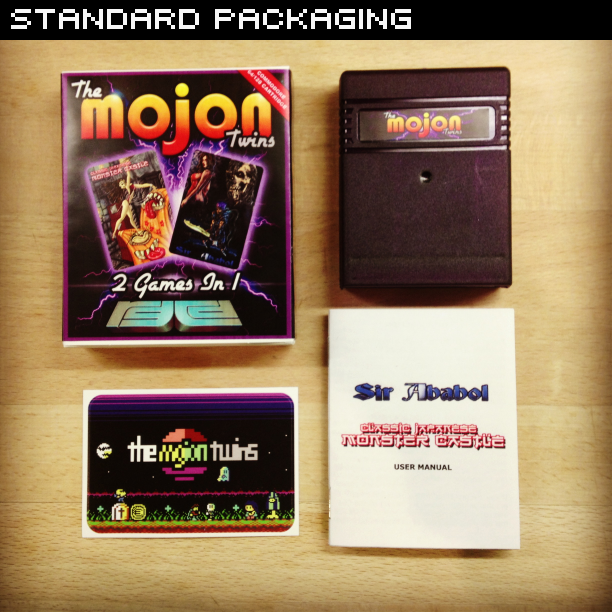 It's been a long time coming, but we have finally completed our official cartridge compilation of The Mojon Twins Nanako in Classic Japanese Monster Castle and Sir Ababol, and it is available to buy now from our shop! Although the plan was originally to put them out as separate releases, it seemed a shame to waste the ROM space, so we've managed to squeeze both games and a menu onto a single 64KB cartridge. Changes over the previous versions available on CSDB include two minor NTSC bugs fixed, as well as Nanako now being fully playable via joystick - making it available at last for GS owners. The 64KB PCB is housed in a transparent purple cartridge shell illuminated by an internal LED, and the game comes complete with a printed manual and a vinyl Mojon Twins sticker. 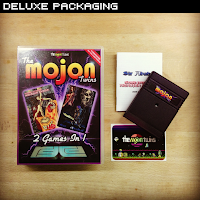 As a joint RGCD/Mojon Twins/Psytronik production, we've handled the cartridge production whereas Kenz at Psytronik has compiled a three game pack on disk and tape, including UWOL: Quest For Money (a game we previously released on cartridge last year). Psytronik Software are selling the game on premium/budget disk and tape for £9.99/£4.99 and £3.99 respectively (plus shipping) via their Binary Zone Retro Store. 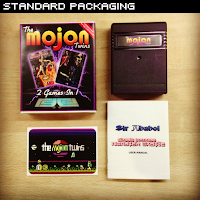 To celebrate the completion of this project, we've put the UWOL cartridge temporarily on sale, with £5 off the cost price. 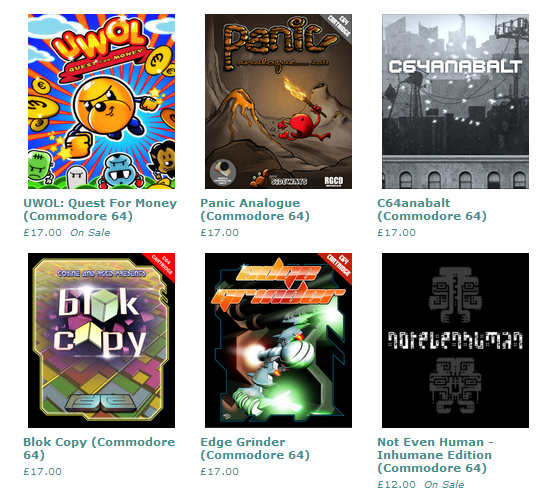 Not only that, but fans of Assembloids might want to check out Dr. Martin Wendt's previous game Not Even Human - which has also been dramatically price slashed! This promotion won't last forever, so grab them now. But sadly it isn't all good news. Royal Mail have raised their postage costs for the new financial year, so I've had to change some of our shipping methods and push up the prices by £1 across the board. Whereas international post was previously insured for up to £46 by default, this now needs to be purchased as an extra (see the 'Shipping Insurance' category of the store). For UK customers, from now on I'll be sending parcels 'Second Class Signed For' in order to keep the price low but still offer adequate compensation for up to two games per package (additional cover up to £500 is also available). I've been as fair as I can with this. Sorry to end on a downer... On the positive side there is more news and reviews to follow soon!